The new Symantec - six months into its intent to acquire Blue Coat - sports a refreshed look from a top management perspective. 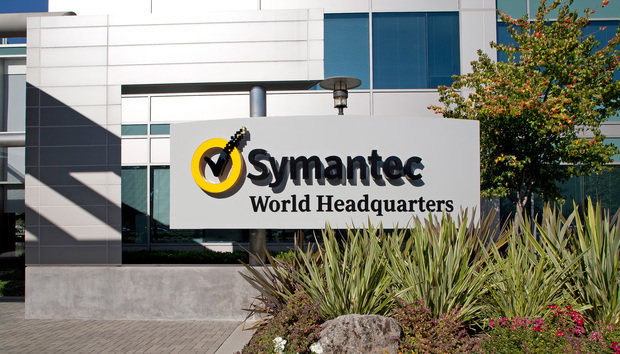 Symantec’s C-Suite is predominantly driven by senior executives of legacy Blue Coat Systems. It’s the sixth month since Symantec announced its intent to acquire Blue Coat Systems for $4.65 Bn. And the security giant has reversed the traditional industry norm of appointing their (buying company) senior executives at the helm. Blue Coat CEO Greg Clark was appointed Symantec CEO in June 2016 (in the same month the acquisition was announced) itself. A few months later, Blue Coat executives Michael Fey, Hugh Thomson, Marc Andrews, Brian Kenyon to name a few were delegated to continue their roles as COO, CTO, WW sales and Chief Strategy officer respectively at Symantec. About a month ago, VP of emerging business at Blue Coat Torjus Gylstorff was added to this elite group on being appointed as Symantec’s Channel Chief. Symantec completed the acquisition of Blue Coat Systems in August this year. What’s the objective of senior Blue Coat execs lead key roles at Symantec? “The acquisition of Blue Coat complements Symantec’s innovative product portfolio and has created the industry’s largest pure play cyber security company. Symantec’s integration planning teams have been working diligently to capture the strengths of both companies,” says Sanjay Rohatgi, Senior Vice President, Asia Pacific and Japan, Symantec. "We are creating the strongest, deepest team in security, which is a mix of Symantec veterans leading major product lines, sales regions and other functions as well as people who joined the company through the acquisition that bring fresh perspective and expertise," he adds. Rohatgi says the management is pleased with the strong leadership bench they have in place in the c-suite and across the organization. Won’t such drastic reorganization of senior executives lead to disruption in OEM-Channel-CIO ecosystem? “The opportunity ahead to drive greater engagement between Symantec and our partners has never looked better. We have put into place a leadership team that has the right combination of domain expertise and horsepower to aggressively advance our channel strategy and help partners grow their business,” he says. Symantec is well on course to integrate the channels of Blue Coat Systems and the traditional Symantec into an integrated channel ecosystem early next year. The concept of organization design for Symantec is to identify the work that needs to be done, determine the roles required to do it, and assign the right people with the right experience to perform those jobs according to Rohatgi. Symantec is creating the strongest, deepest team in security, which is a mix of Symantec veterans leading major product lines, sales regions and other functions as well as people who joined the company through the acquisition that bring fresh perspective and expertise. It’s about identifying the best elements of Blue Coat and of Symantec and bringing them under one umbrella, he says. Symantec has completed the first phase of delivering the Integrated Cyber Defense Platform, and its sales force is now enabled to sell the company’s combined portfolio, and its Q2 results exceeded guidance on all metrics including both consumer security and enterprise Security segments, he says. These are positive signs, and we are excited about what lies ahead for the New Symantec, says Rohatgi at Symantec.